Follow your content as users engage with it. Paperflite ties in with your online resources, giving you a more comprehensive overview of how your content has already performed. 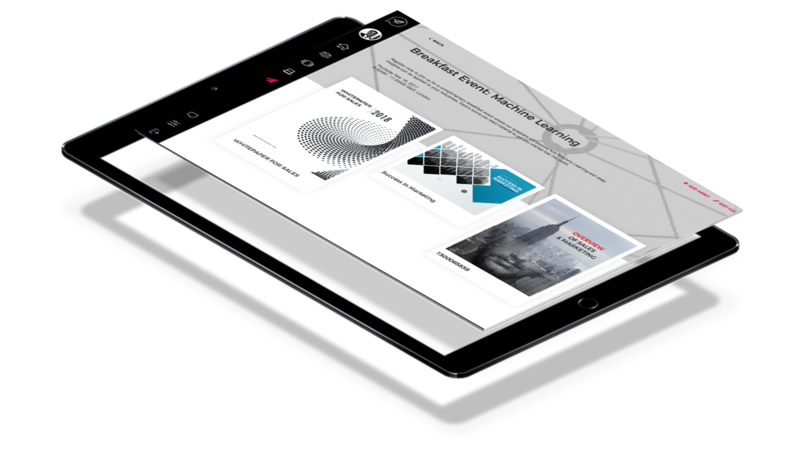 From views and downloads to time spent on each page, get valuable insights on what worked and what didn’t. Coupled with heat-maps and our integrated video analytics, Paperflite can now tell you exactly how your prospects engage with your content, regardless of file type or channel. 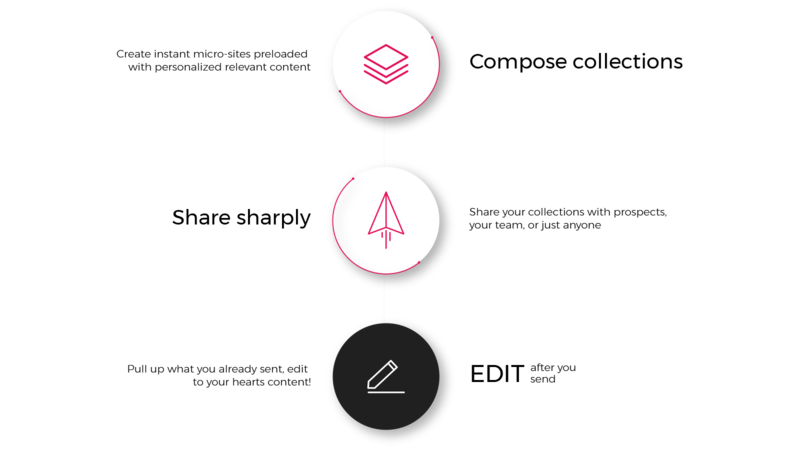 From account-based marketing campaigns to targeted industry-specific campaigns, Paperflite enables you to power your marketing efforts in three easy steps: choose your theme, drag & drop the content you need, and craft your message. 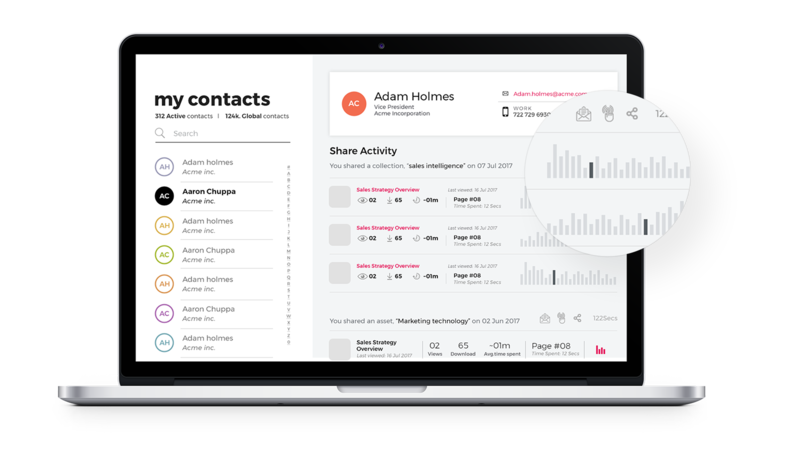 That’s it; just send it out then, and get meaningful and actionable insights delivered to you in real-time. Paperflite makes it so much easier to access all the amazing content your team produces, regardless of where it’s housed. Watch your content come together from across your preferred storage systems seamlessly in a single repository, making it even easier for your teams to discover the right content at the right time. 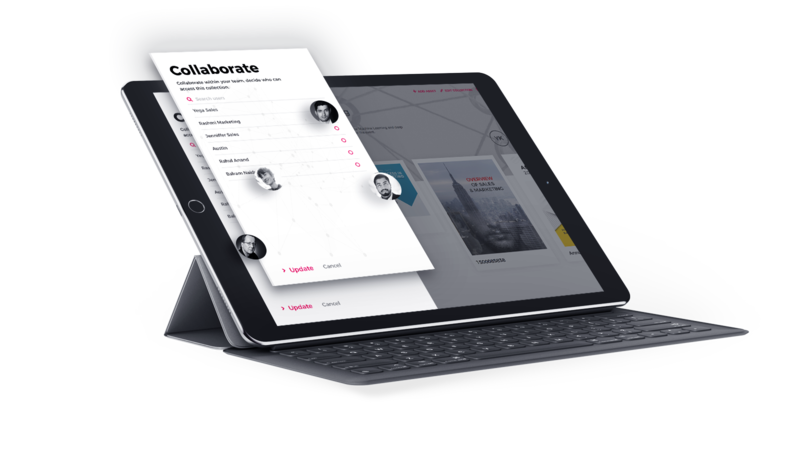 With Paperflite’s real-time collaboration, your team can now also work together on a collection to execute a single vision, ensuring that they are able to put together meaningful campaigns and engaging collections, without having to exchange endless emails and create multiple drafts. With Paperflite, you have unlimited control over your document, no matter where it resides. Any updates to your content are now reflected everywhere, even if already shared with a lead. What’s more, with variable user access, you can control who in your team has the authority to make changes, and who can only view, making sure that your vision is realized the way you want it to be. Makes content come alive like Frankenstein’s monster!